Random Thoughts of Steve Blake: What do people care about? I was thinking... It could happen... what is it that people REALLY care about. Well, I was listening to a business consultant, author, Christian comedian, and professional speaker, Andy Andrews on YouTube.com. He presented a strong philosophical truth when it came to anyone outside your personal family. In your professional life, "people don't care about how you feel, they care about how you act" (Andy Andrews). I look at my half century on this planet and can see this to be the fact. We can see that life IS NOT always fair. We are taught as a child to treat people with fairness and care but when we truly step into this thing we call life, our paradigm shifts to something that in induces stress, anxiety and tension. It is during these times that how we act will reflect our true character. We can see this goes back to Biblical times when people were not being fair to God when they were selling in God's temple. Jesus was angered and began turning over the tables. This life is the battle grounds of the enemy and we will inevitably come across these battles. How will you act? Anger but sin not (Ephesians 4:26). 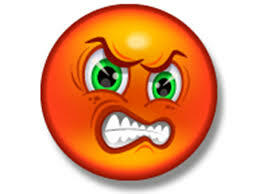 Anger is an emotion and we need to quickly check ourselves and realize we are a witnesses in the enemies playground. We are to be an example of all those principles we are taught as a child that reflects sound Biblical principals.